Ep.10: "It's Like the Perfect Crime"
Ep. 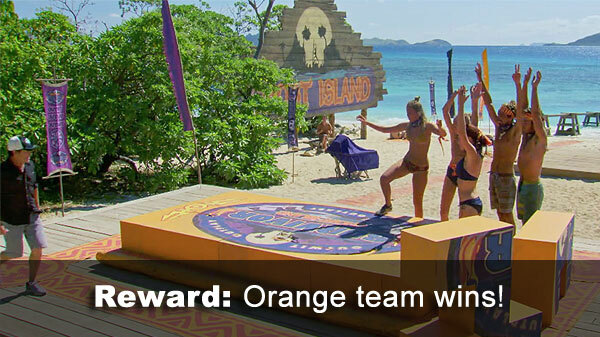 10 Reward challenge: "Caged Tigers" - Donathan is not picked; Wendell and Dom can't paddle the boat, lose big to Team Orange (Chelsea, Jenna, Kellyn, Michael, Sebastian), who get a helicopter picnic. Ep.10 Ghost Island attendee: Angela, who plays the game and loses. No vote for you! The end. Ep. 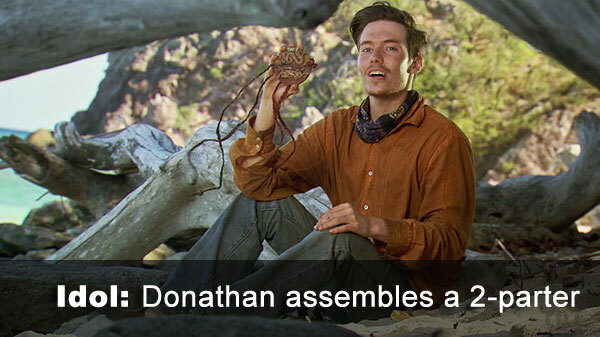 10 idol: Donathan finds Scot's super-idol half, enlists Malolo's help to get the other half (Tai's), making a... regular idol. 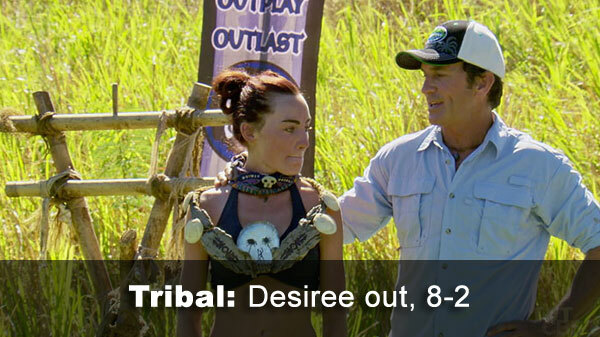 Ep.10 Immunity challenge: "Take the Reins" - After almost everyone drops out in the first two minutes, Chelsea wins. 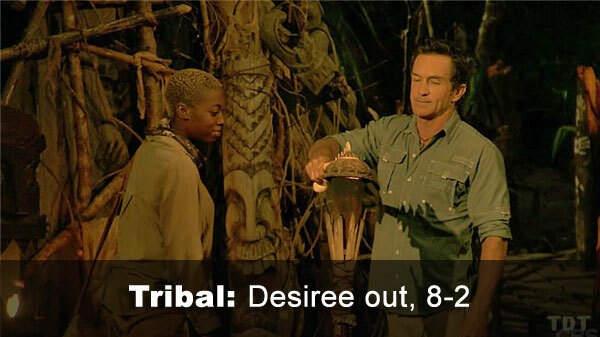 Ep.10 voted out: Desiree, 8-2 over Michael (with Angela unable to vote). Notes: This time, since Angela has prior Tribal appearances: No TCA, no VFB (obviously), but she does see the 10 total votes. - Desiree received 8 votes, from Donathan, Jenna, Laurel, Michael, Domenick, Kellyn, Sebastian, and Wendell (voted out, 8-2). - Michael received 2 votes, from Chelsea and Desiree. - *Again, Angela was unable to vote, and cast a "No vote" ballot.